Ferienwohnungen Daum Ferienwohnungen Daum is a self-catering accommodation with a balcony, mountain views and free WiFi access, located on a slope, 2 km above Hippach and 4 km from the Horberg Cable Car. The bathroom is fitted with a bath tub and there is also an additional toilet. Landhaus Maria Landhaus Maria is located in Hippach, 3 km from the Horbergbahn Cable Car and 2 km from the Ramsberglift. The apartment comes with a balcony with mountain views, a seating area with TV, a kitchen with an oven, a dining area and a bathroom with a shower and a separate toilet. Activities in the surrounding area include skiing, cycling and hiking..
Metzgerwirt price per day from € 100 . Ferienwohnung Hippach - Monika Sporer . House, 75 square meters, recommended by travellers ! 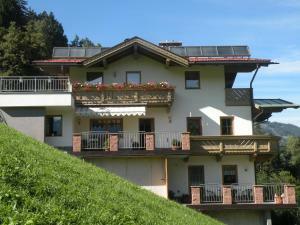 Gasthof Pension Berghof price per day from € 50 About 10 km from Mayerhofen and 3 km from Hippach in the Zillertal valley, the Gasthof Pension Berghof enjoys a quiet location. Appart Tirol price per day from € 36 Appart Tirol is a 5-minute walk from the village centre of Hippach and 200 metres from a free ski bus stop, and offers 3 apartments, each equipped with a balcony and free WiFi. The apartments come with a living area including a sofa, a dining table and a kitchenette. A supermarket can be found in the village centre, while the closest restaurant is 50 metres away..
Haus Dornauer price per day from € 36 Only 150 metres from the centre of Hippach in the Ziller Valley, Haus Dornauer offers large apartments with a balcony. An infrared sauna, ski storage facilities, and free WiFi access are available. Guests can relax in the garden and use the barbecue facilities. 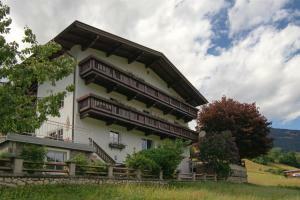 Sieghard - Das kleine Hotel mit der grossen Küche price per day from € 132 Enjoy excellent cuisine and high-quality wines in this small and pleasant hotel in a central and quiet location in the upper Ziller Valley, approx. Hotel-Gourmetrestaurant Sieghard offers comfortable rooms, a sauna, a bar, and bicycles for guests' use. His creative culinary skills have been recognized by restaurant guides for more than 15 years..
Gästehaus Pfister Maria price per day from € 60 Just 100 metres from the ski bus stop, Gästehaus Pfister Maria enjoys a quiet location in Hippach in the Zillertal valley and offers you rooms and apartments with balcony, free WiFi and free private parking. 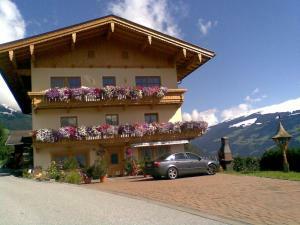 All rooms and apartments come with a private bathroom, cable TV and offer views of the Zillertal Alps. Ski resort Alpbach, number of ski pistes: 65. 23 km from town of Hippach. Ski resort Angerberg, excellent nightlife, many restaurants and pubs. 36 km from town of Hippach. Ski resort Achenkirch, number of cross country pistes: 58km. 38 km from town of Hippach.